A new album coming soon! Sign up on mailing list. Some free downloads coming soon as well! Thank you for "ASL" sign language by Sandra Rosario who was born deaf. 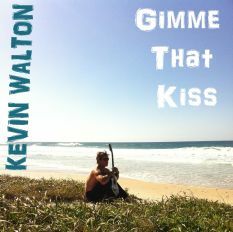 Sandra says she LOVES music, especially Kevin Walton's songs! She also said "The #deaftalent celebrity winner Nyle DiMarco's uncle [Nyle of ABC's popular TV Show, "Dancing With the Stars"] was my assistant teacher in High School. Nyle DiMarco is amazing & also won the hit TV show "America's Top Model" recently inspiring many. Deaf people can do anything!" Thanks Sandra Rosario, you are amazing & inspire too! Filmed at Lake Louise, Canada. Filmed at the iconic Sing Sing Studios, Melbourne, Australia. Showcasing the stunning coastline of The Twelve Apostles, Victoria, Australia. 'LIKE' KEVIN WALTON's video on #EllenTube so we can be on The #EllenDeGeneres Show! Thanks! Thanks for visiting my website today & for your interest in my songs. Huge Thanks to all the fans for your support! Browse the other pages on here & social media sites. Check back for information on upcoming tours and my new album and songs available very soon! I'd really love to hear from you. It's all about the music & the love.